A joint effort of the City of Andover and the YMCA, the new community center contains a wide range of recreational amenities. 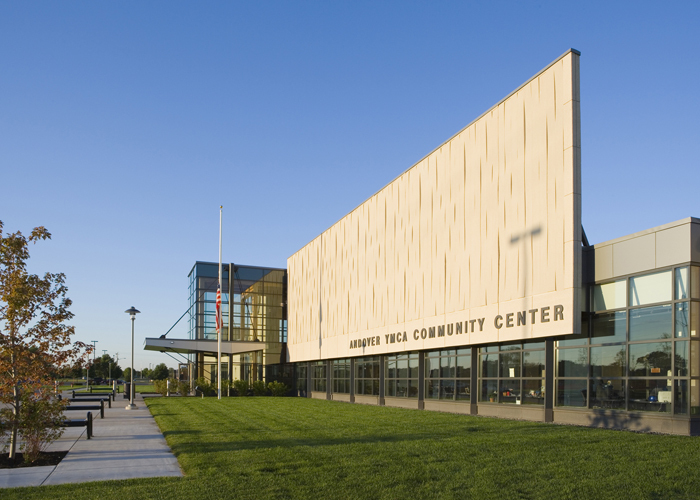 The YMCA is the main occupant of the 130,000 square foot facility with components that include pools, a gymnasium, fitness/workout areas, and locker rooms. 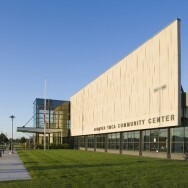 The city’s portion includes an 800-seat ice arena, locker rooms, concessions, and a 59,000 square foot field house, which can be divided into three full courts with spectator seating and scoreboards. The facility is primarily framed in structural steel with concrete bearing walls and 120 foot roof spans. The entry and spine use glulam framing.